Australian hammer thrower Charles Morris is dressed for the Opening Ceremony. 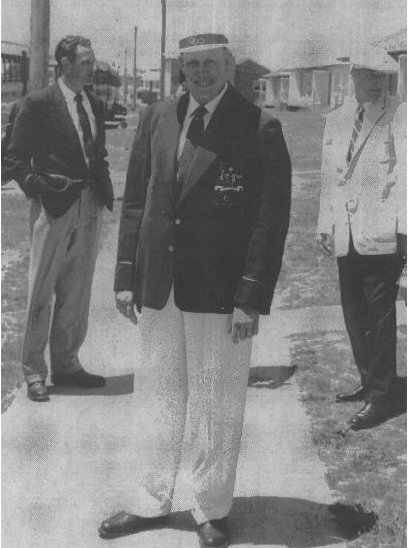 Charles had a race walking career in his younger years. Ray Smith, with hands in pockets has not yet donned the cream trousers. The USA athlete on the righ is Weinacker. 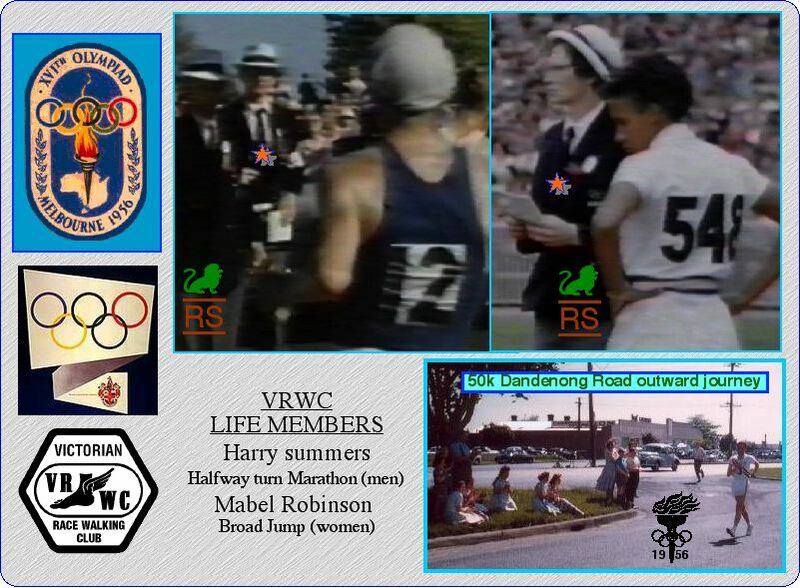 The Victorian Amateur Walkers Club provided many of the key officials for the Games as well as many of the officials for the Roadwalks and Marathon. Club President Harry Summers and Life Member (now deceased) Mabel Robinson caught by the camera.